5 facts about you + your character! we do this sometimes in ext so I thought it'd be a fun little exercise to do here in riverclan! the point of the exercise is to give little snippets of info about yourself, and then five things that wouldn't usually come up in conversation for your character! + I'm almost entirely self taught with my art! + My goal is to be a polyglot, and i'm heavily considering diplomacy as a career path! + Her name was originally going to be tempestglory! i changed it after a lot of pining and an entire vote because i was so indecisive lolol. + Tem's original voice claim was eden riegel as sumia! + Tem knows that her mother was clanborn. however, she does not know that robinfoot was born a skyclanner, and she does not know that her father amos was born a windclanner. The post was edited 1 time, last by slowhand ( Feb 11th 2019 ). -I play the violin mainly, but also the piano, flute, viola (I actually hate viola yikes), and a bit of guitar. -She was originally npc x npc, but I found a family that suited her! Her mother is from the Tribe, and Eaglestar is her cousin once-removed, not that she'd ever know. -She's currently my longest-lasting character, from August 2016! 2 years and a half, babey! -She likely has depression now, and I really really do need to get her sign-language developed so she can go mute. -I'm not planning for her to die. Ever. She's immortal. Sometimes living forever is the worst kind of pain. -She's super duper inactive ahlsdjfhasdf I'm planning on having her killed off. It was always planned out that she wouldn't have a happy life. 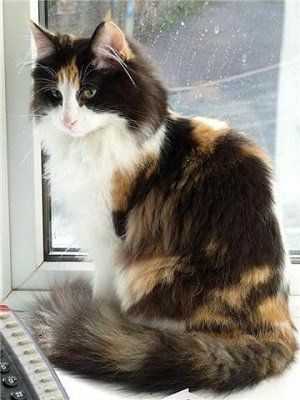 -She hates it when people judge her by her looks because even though she's pretty (and she knows it), a lot of older cats flinch when seeing her bc she looks like Scorchedface, but with a different color palette. 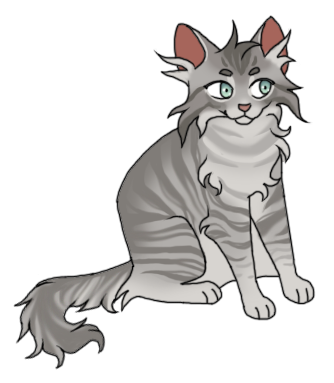 -Her lesser dad/uncle figure is Bane because he parented her when her mom was still in RiverClan, and her dad was planning a ton of raids. -She still loves Scorchedface and wishes that he would stop killing everyone. tags + info — roleplayed by: minnie. — CONGRATULATIONS! YOU SURVIVED THE WAR NOW LIVE WITH THE TRAUMA. - Game of Thrones is my favorite TV show! I'm a Greyjoy. - I've been on Feralfront since I was in 5th grade– I'm in 11th grade now. - I love reptiles so much, and I have a snake called Calliope. - I have synesthesia, which makes it so I process sounds as colors! - When I was little I tried to turn myself into a mermaid with those weird ritual Youtube videos that were popular then, and didn't go to Hawaiian Falls for a whole summer because the friend I did it with convinced me that the CIA would come for us. - Her warrior name is probably going to be Swandive because she catches fish the way grizzly bears catch salmon, but I'm not sure yet. - She's going to be a Bloodclan sympathizer once she gets back. - She's being taught how to use sign language while in Bloodclan, and I want her to be able to teach it to her family, too. - She's got some plots to come and I'm hoping they'll be good uwu. - She likes to hum a lot and makes up her own songs! - Rye will always want to be a medicine cat: this roots back to when chase almost drowned during an allergic reaction and rye couldn’t do anything to save him. - The reason his love for Chase was so strong and for so long was actually because Rye had no friends and no family but chase had made him feel loved and he just wanted that again. Bonus: I was debating on calling him Goose or Duck. He now wears a duck feather in his fur as a tribute to that and as to chase’s old love to duck. - glade is my second character in trad ever, after smokestar. i created him in 2016! - i don’t plan on glade ever having kits, or a long-term romance partner. - dusk is secretly afraid of a lot of things, one being falling in love. she doesn't take nicely to loss, a prime example being kestrelsong's disappearance. The post was edited 3 times, last by duskoak. ( Feb 20th 2019 ). 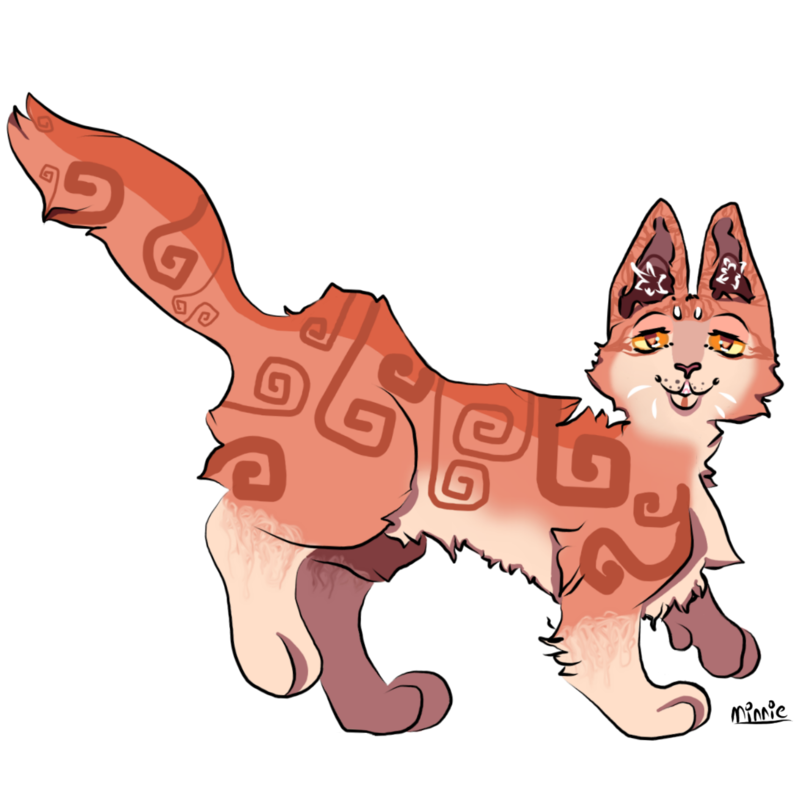 + originally this boi was gonna be my riverclan x bloodclan npc kid, but i just ended up going with the whole he's a bloodclan born kit. + i was actually gonna make him a blind cat but i wasn't too sure how to go about that. my muse kinda died at the moment i thought about it so i scrapped the idea. + he finds it hard to fall in love, although there is a cat he is pretty interested in, he is actually afraid to even encroach on uncharted waters. + storm is sorta nitpicky when it comes to sleeping arrangements, he likes the wind on his back for some reason and has a knack for swimming, but he actually doesn't realize it was because his father tried to drown him as a kit so he was a bit traumatized.